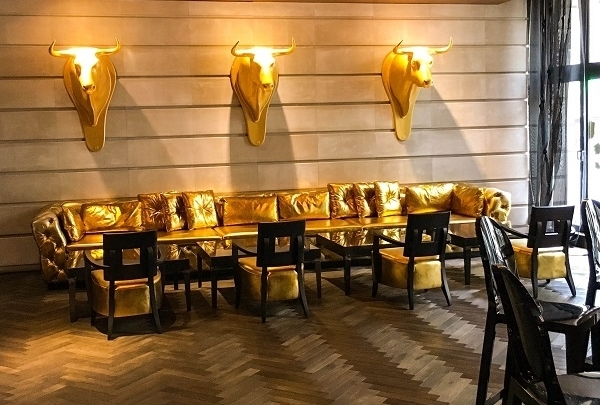 Enjoy French specialties, local products and signature cocktails at the new La Brasserie Restaurant & Bar, community hub for local and hotel’s guests. A distinctive stay is guaranteed at the fully revamped Renaissance Paris La Défense. Newly refurbished spacious guest rooms offer chic French refinement with unique personal touches and first class modern amenities. The hotel is ideally situated in the heart of La Défense and at only 10 minutes from the city’s top attraction. Our resident Navigator Marie-Paule is always available to share her local tips. The business attendees will also enjoy the 15 meeting spaces, entirely flexible, with daylight and high speed internet. 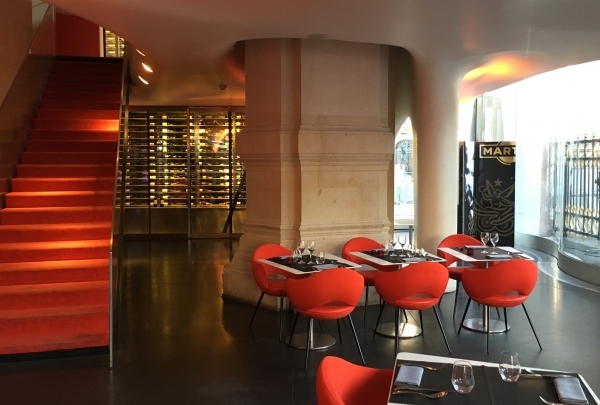 The new modern and Parisian La Brasserie, Restaurant & Bar, offers French specialties elaborated with local products as well as signature plates and a breath-taking view on the iconic Grande Arche. For vibrant afterworks, visitors can enjoy a large French quality wines selection, local craft beers and delicious Tartines at the revamped lounge bar. 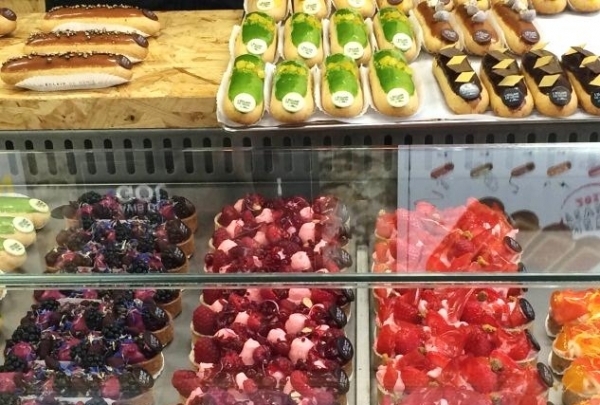 Two last top floors of Department store Printemps Homme Haussmann have been recently renovated and now it is the place to enjoy of French delicacies. On the 7th floor there is a huge grocery store with all that you'd love to eat in France, and the 8th floor has bistro-type restaurant to enjoy the dishes and the view. An ancient Parisian canteen, where workers used to have their lunch over 100 years ago. You will be amazed by the décor, it allows you to feel the atmosphere of "belle epoque". Their daily changing menu highlights traditional French dishes. Be advised that this restaurant does not take reservations, so you have to queue - but Bouillon Chartier is worth the wait! La Caféothèque is a small coffee shop in a picturesque area near the river Seine. The cozy sitting space inside this cafe offers the right ambiance for enjoying piping hot coffee. 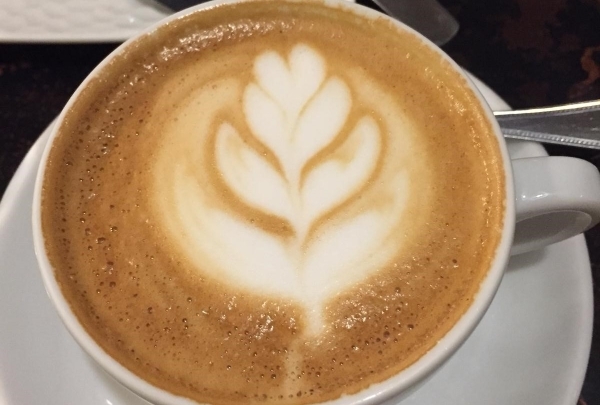 You will be surprised by the diverse collection of coffee served here from across the globe. A true paradise for coffee lovers! Designed by Frank Gehry, this is a new space especially devoted to contemporary art and creations. Simply amazing! 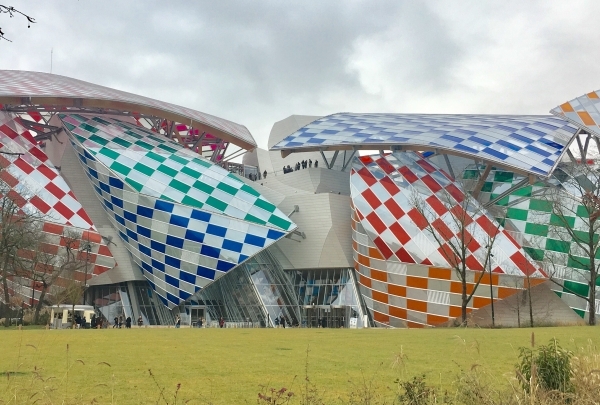 This unique building, which was commissioned by Bernard Arnault and designed by Frank Gehry is sure to impress and delight with its modern appeal. Take some time to walk around this fascinating structure before turning your attention to the wonders inside. 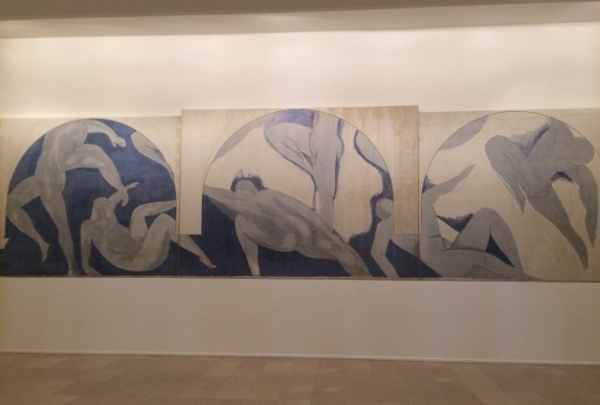 Inside you will discover a vast amount of contemporary art shown in permanent collections and traveling exhibitions. Come to discover this amazing and unique wine bar. You will also become an expert with their private tasting and tours! 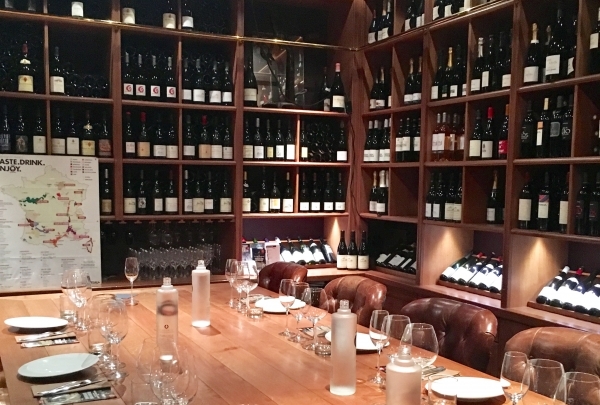 This spot is amazing and unique because they have more than 50 different wines by the glass to taste and a wine list of more than 1000 bottles! Once there, you will explore all the aspects of the wines through a unique, fun and unforgettable experience and tasting. Moreover, you can create your own wine in two hours! Enter a comfortable, friendly atmosphere filled with charm and savor the inventive French cuisine! A few minutes from La Défense area and located on the bucolic Bois de Boulogne Lake, you can easily reach this magic restaurant by a minute's boat ride! 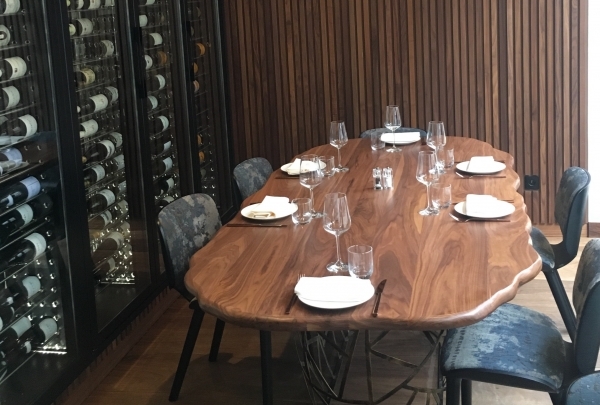 This place is pleasant for an intimate meal, family gathering, or for business lunches. Nothing beats dining on the river's edge. 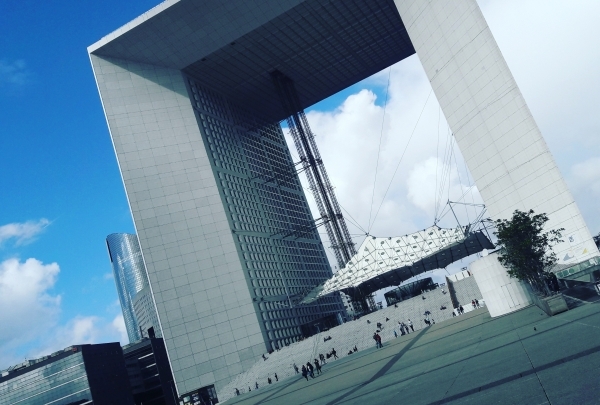 The largest terrace in Paris on the rooftop of the Grande Arche gives you an unforgettable view of the " City of Light"
The Grande Arche de La Defense is not only a magnificent edifice and the symbol of the Parisian business district, but it is also a nice spot for a nice view. You can even enjoy a drink or have a bite while on the top. If you are passionate about photography you will be pleasantly surprised by the photo exhibitions hosted regularly up there. 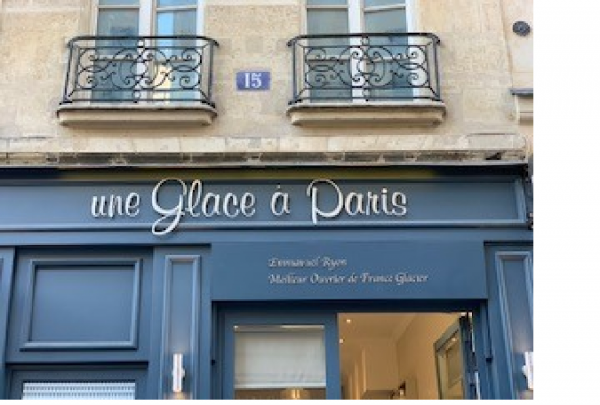 Strolling in Le Marais district, make sure to pop up at this ice-cream store. You will discover interesting flavors and unique way to create the ice-cream pastries. An iconic traditional French brasserie in operation since 1880. When strolling in the Saint-Germain area a visit to this brasserie is a must. 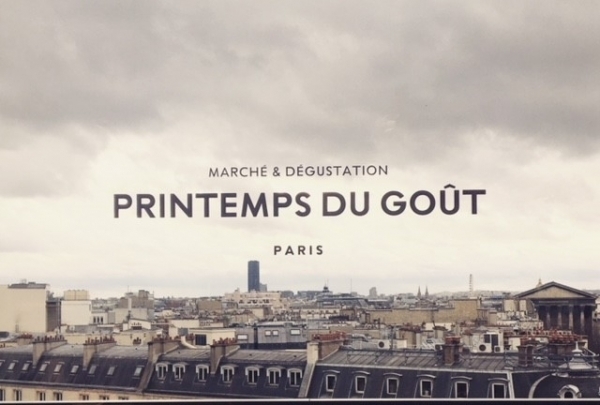 First of all for its authentic décor and for their quintessentially French hospitality. 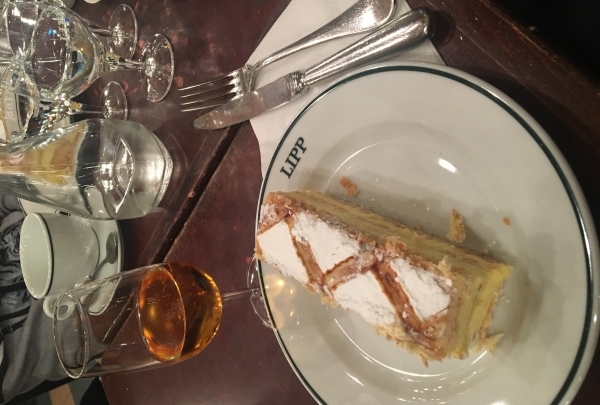 The menu is composed of French classics and the signature dessert is "millefeuille", which you will be suggested to taste with a delicious Sauterne (sweet wine). 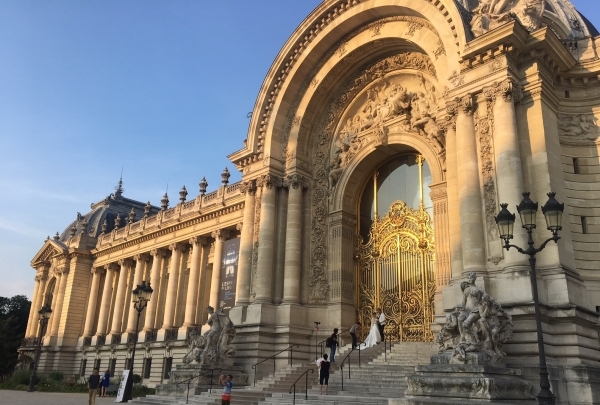 The free fine art museum of the city of Paris is called Petit Palais, which means "small palace" and is located opposite to the Grand Palais on the avenue Winston Churchill. Apart from admiring the fine arts you are able to enjoy the tea-time in the winter garden of this museum. When in Paris, everyone is looking to relish exquisite wine in some place with chic decor and cozy ambiance. Legrand Filles et Fils meets all the aforementioned criteria. Situated in a sumptuous covered passage Galerie Vivienne, it is a perfect place to enjoy the royal wine tasting experience. 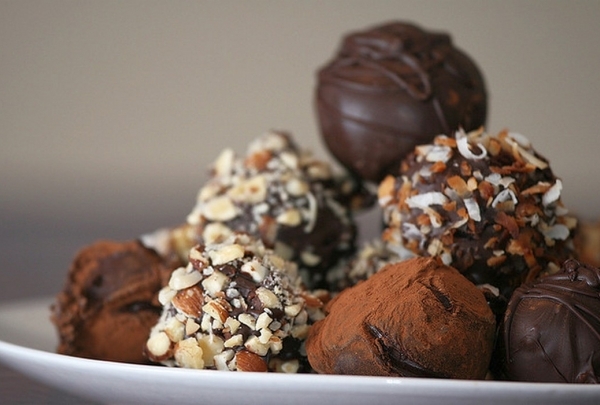 Take home some darkly delicious truffles from this creative chocolate atelier known for exotic fruits and unexpected textures. At Patrick Roger you don't simply eat sweets but experience and relish chocolates. The owner, a chocolate artist himself, loves to experiment and present chocolates in their most unbelievable and creative forms. He travels everywhere and sources the ingredients from all over the world. Whether it's the fruit jellies infused with peach, or the mouthwatering truffles, you can't help but finish the entire box. As you enter the store, be prepared for the culinary assault of aromatic chocolates; warding off the temptation is like fighting a losing battle. Come to discover excellent reinvented cocktails in an Eiffel tower-style building featuring a 20 meter high glass roof. This is truly a unique venue for a fun night out with friends or family. Les Chouettes is so much more than just a restaurant and a bar. 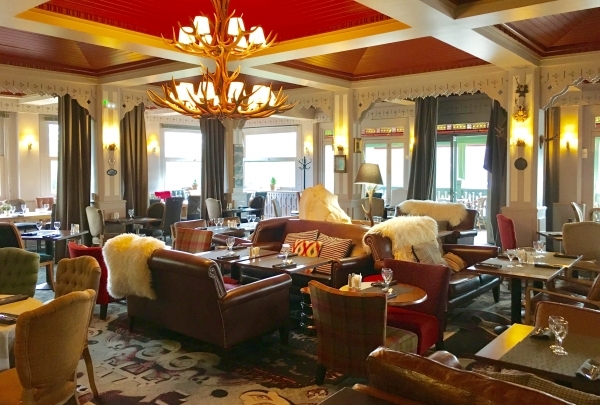 The establishment includes two lounges, a large dining room, the bar on the ground floor and the first floor, a library lounge, alcoves for intimate conversations, and a large table for festive dinners. Guests can also enjoy a cocktail in front of the fireplace. 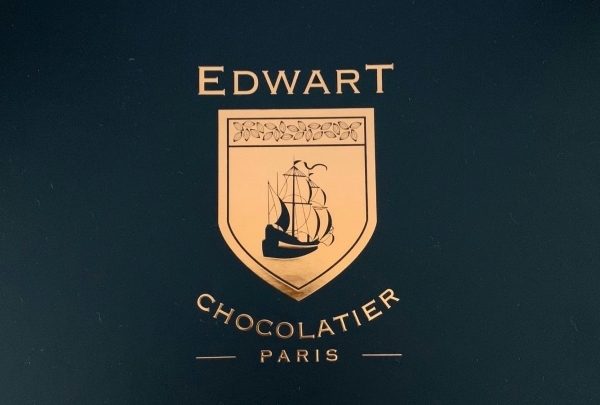 Come & taste the all-time favorites & reinvented gourmet flavors of the chocolates produced at the factory. 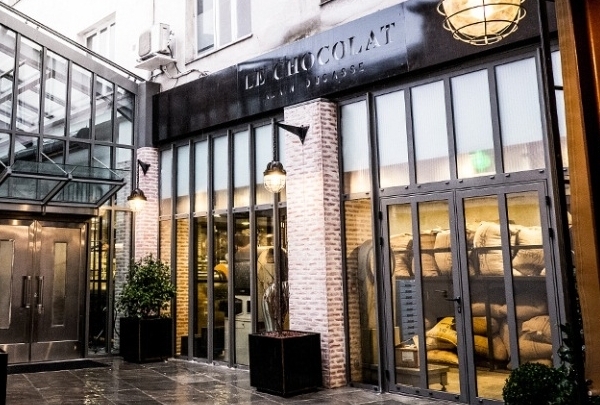 There is nothing else quite like this incredible chocolate factory. Visitors to this sugary establishment can sample pure chocolate ganache, gourmet ganache, praline, truffles, and other confectionary delights. The factory, however, is perhaps best known for its chocolate bars, which come in 44 flavors. This is the temple of the Parisian Éclair, a puff pastry that is sure to delight. The humble 19th-century éclair has surpassed the macaroon as the most buzzed about Parisian pastry of the moment! This confectionary delight comes in a multitude of flavors. Do not forget to taste the salty caramel butter éclair, which is one of the shop's best sellers. Located on what is often dubbed “rue de la Soif,” this fun Irish pub is a particularly good value for glitzy Saint Germain. This Irish bar serves excellent Irish beers and other drinks like whiskey, champagne and cocktails. The decor is inspired from Irish pubs and the long wooden tables completely befit the theme. You can even play darts and different board games, like they do in a traditional pub; there are also televisions screening the latest sporting action. So get going and order your favorite libation. Cheers! Traditional bistro fare gets a modern update at this no-frills restaurant most visited by locals for a satisfying weekday lunch. 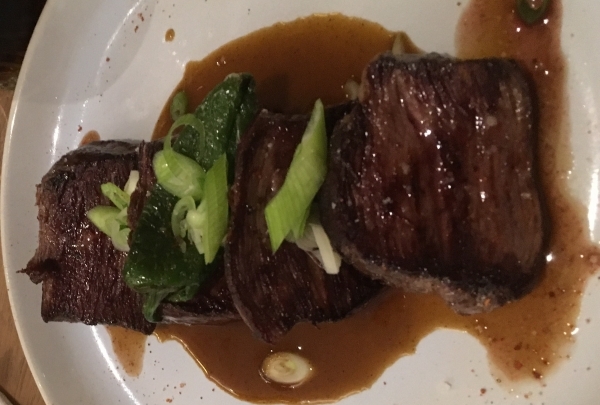 Seated in the heart of the 15th arrondissement, Jadis, headed by an extraordinary chef, dishes out elaborate bistro fare, paired with unexpected ingredients for astonishingly reasonable prices. In a muted but pleasing decor of vintage posters and gray walls, guests can enjoy dishes like the filet mignon of smoked pork or the more surprising shrimp with saté sauce. For dessert, try the rice with coconut milk and black currant mousse or the chocolate cake with guanaja sauce. 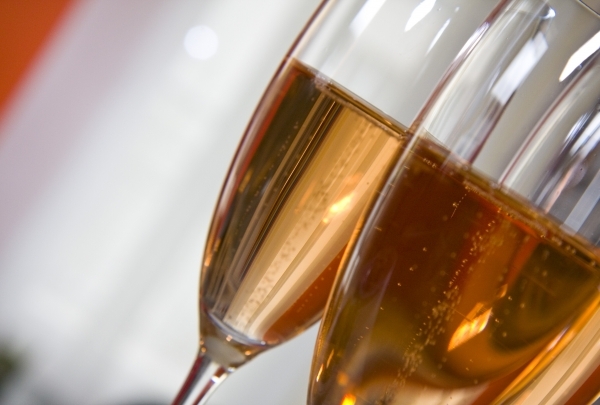 The restaurant offers two additional prix fixe menus-amazing deals! 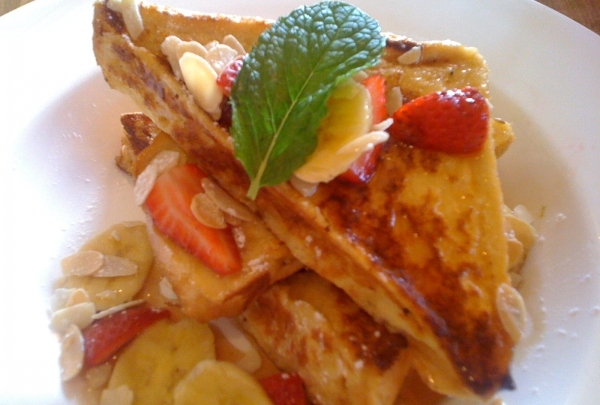 Housed in an old railway station, this restaurant is a great place to stop by for brunch. They even have a menu for the kiddies! 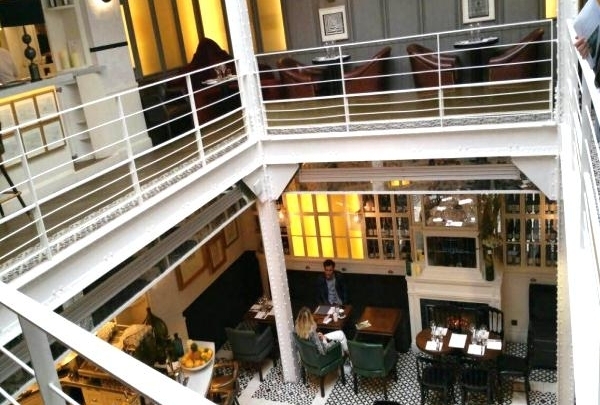 One of the largest restaurants in Paris, La Gare, was originally a railway station. Now it is a gigantic restaurant with a high ceiling, walls adorned with red bricks and swinging mammoth gates at the entrance. 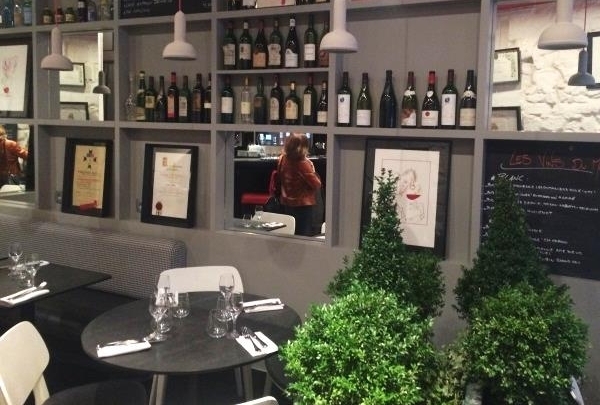 La Gare's cuisine is both traditional and inventive. 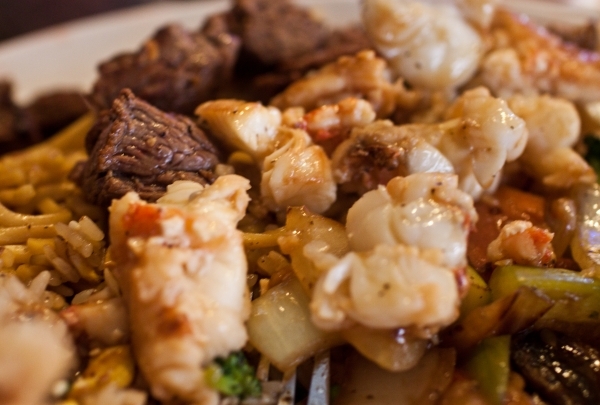 The extensive menu features starters, pasta, salads, meats, fishes, cheese and desserts. They have a tiny kids menu too. With oudoor seating available, and a juke-box, this place is ideal for lunch. Straddling arrondissements 3 and 4, this beautiful square has cafes, Victor Hugo's home, and many places to sit and rest your feet. 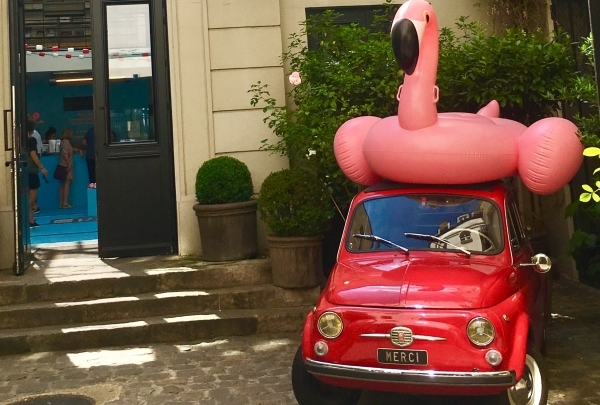 Surrounded by shady arcades that shelter beautiful boutiques, this square, situated in the heart of the Marais, is one of Paris' unmissable sights. 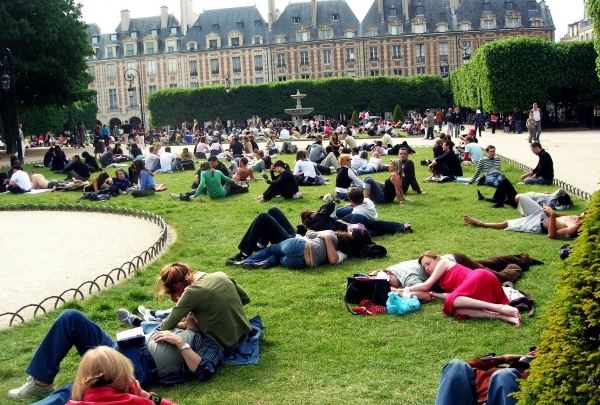 Place des Vosges is perfectly symmetrical, measuring 140 meters (459 feet) by 127 meters (416 feet). Stone and brick houses, whose almost identical facades are all crowned by steep slate rooves, border its quasi-rectangular shape. Designed by Henri IV, it used to be the favored sight for duels. Famous people also lived in the area, including the Cardinal de Richelieu and the writer Victor Hugo. Behind the water lilies, Monet was a pioneer in art movements. The gallery also houses exhibits on other contemporary artists. Musée Marmottan Monet stocks some of the world's most famous artists from various periods. Visitors can find art from the Early Renaissance period, the First French Empire, the world's largest Monet collection as well as over 300 paintings from the Impressionist and post-Impressionist periods. 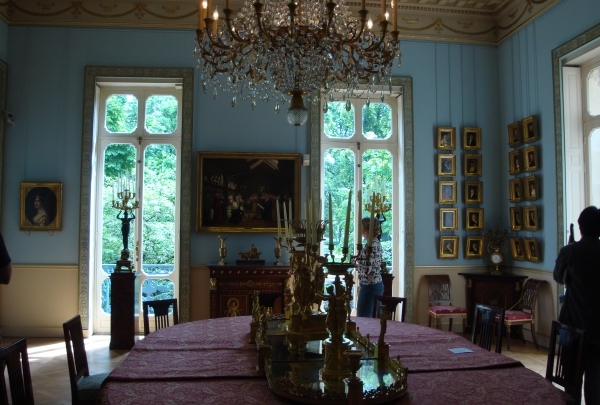 The museum was converted from a hunting lodge to a museum when it was bought by the Marmottan family who put their own personal collection on display. Don't forget about the gift shop for some great souvenirs! Charles Garnier designed this beautiful gilded opera house. The sparkly decor matches the spectacular shows on offer here. The Palais Garnier, named after the architect who designed it in 1862, was immortalized by writer Gaston Leroux in his book Phantom of the Opera. The architecture is a mixture of baroque, classical, Greek and Napoléonic styles. Adorned with mosaics, the foyer has a cupola decorated by painter Marc Chagall and an impressive Rococo staircase, which leads to the theater's magnificent reception rooms. Outside, four stone statues represent allegories of Music, Lyric Poetry, Lyric Theater and Dance. 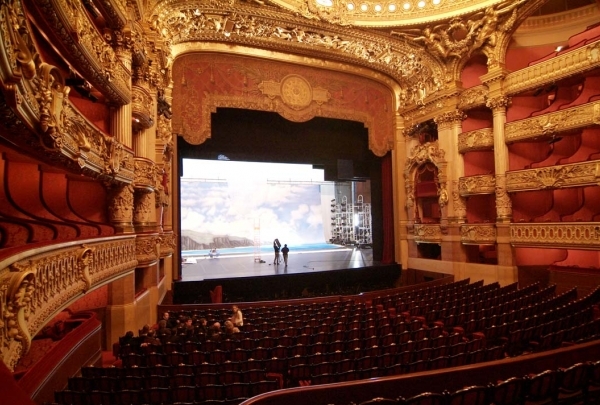 Since the opening of the Opéra Bastille, the Palais Garnier has concentrated on dance. Guests enjoy creative, sophisticated dishes paired with a selection of wines selected by the master of the house. In this cozy and intimate restaurant, diners get to sample reinvented French cuisine. Particularly popular dishes include the escargot tart with garlic and parsley butter sauce, a stew blanquette of veal with sage, and the caramelized apple tart. 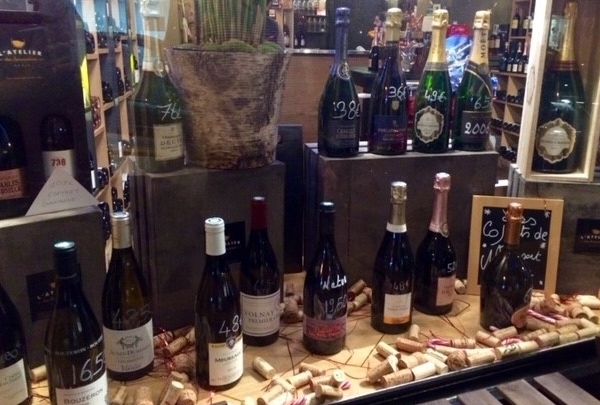 Be sure to take a look at the wine menu, which is excellently curated. Discover the temple of honey in this century old shop! More than 70 different types of honey are sold here. 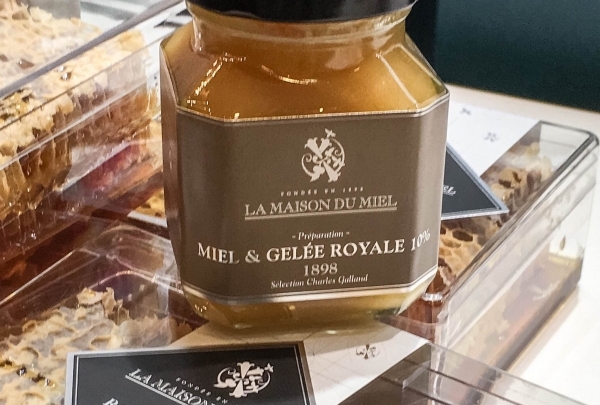 This beautiful boutique sell over 70 types of honey, most from France. Other than the famous honey, you can discover some honey-based specialties including gingerbread, biscuits, confectionery, pollen, and cosmetic products. Situated in the heart of the Opera House, this restaurant offers creative dishes with exquisite flavors. Patrons of Restaurant l'Opéra can sip cocktails at the lounge bar, which features a beautiful contemporary style, before trying out the cuisine made with regional and seasonal produce. Be sure to check out the gorgeous terrace. The perfect Franco-Peruvian experience, Manko brings traditional dishes from Peru to diners in the French capital! In this amazing, elegant, and colorful restaurant, chef Gaston Acuro is behind the flavorful menu! Manko-Paris also features a huge and famous bar where diners can enjoy Pisco-based cocktails! Each Friday and Saturday night, Manko-Cabaret comes alive with an original show with acrobats and dancers that is simply magic! 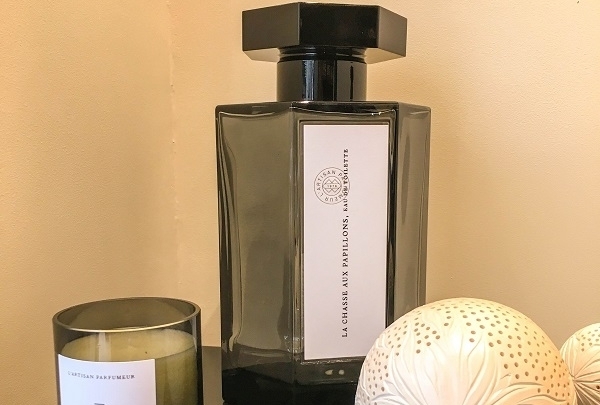 This is the French standard in the world of fragrances! It offers exclusive perfumes & fragrances for the home! Each fragrance narrates a unique story, and each passage in this store becomes an exciting olfactory journey! You will discover exceptional and unique fragrances of personalized perfumes, scented candles, and much more. This is a major municipal museum dedicated to modern & contemporary art of the 20th and 21st centuries. Located in the eastern wing of the "Palais de Tokyo", this amazing and huge museum includes more than 9000 works from different art movements that existed in the 20th and 21st centuries. Opened in 1961, the museum is one of the largest museums of modern and contemporary art in all of France. Lolabar completely reinvents the cocktail both with presentation and taste! It is considered the best gin bar in Paris! In this beautiful, chic and elegant bar, the barmen will suggest an amazing gin-based cocktail for you. With a choice of more than 100 different and excellent gins, you will definitely find your own special drink. Your evening will be unforgettable! 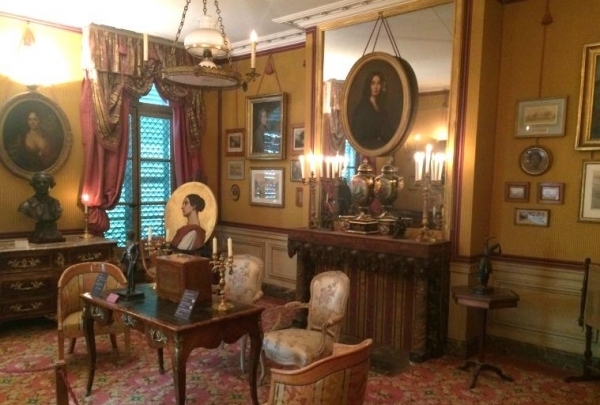 The ground floor is devoted to the writer George Sand, portraits, furniture, and jewelry from the 18th &19th centuries! Visitors can explore the lovely 19th-century home and garden of the painter Ary Scheffer. All of the key figures in the Romantic movement came here to discuss literature and art, including Delacroix, Chopin, and Lamartine. 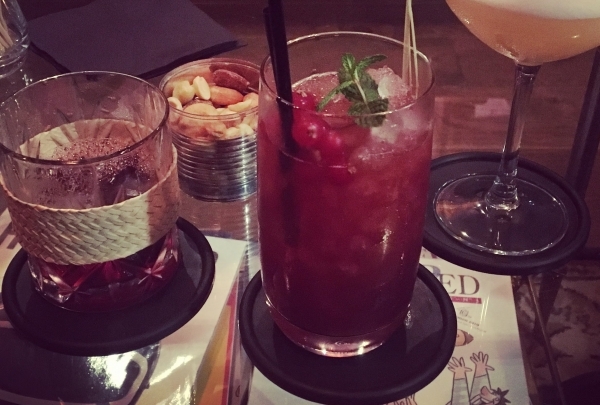 Visit this institution in Paris where you can see and be seen while sipping craft cocktails. You will be impressed both by the décor and the ambiance of the place! 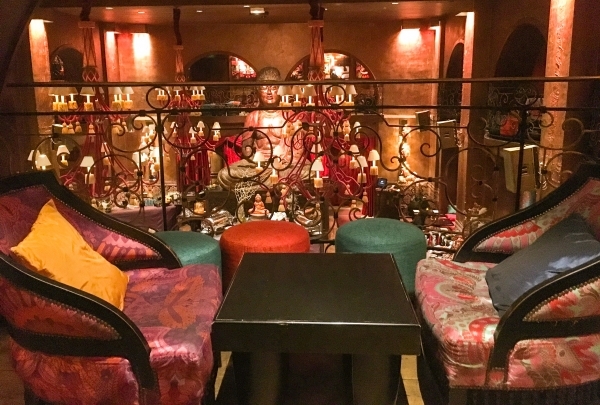 Sip cocktails at the feet of an 8-meter high Buddha who smiles at the guests and creates a peaceful atmosphere. With Jean Munes, the barman, you will discover some unpublished and unforgettable cocktails! A DJ is often dropping beats at this hip spot. Enter the culinary world of Alain Ducasse! 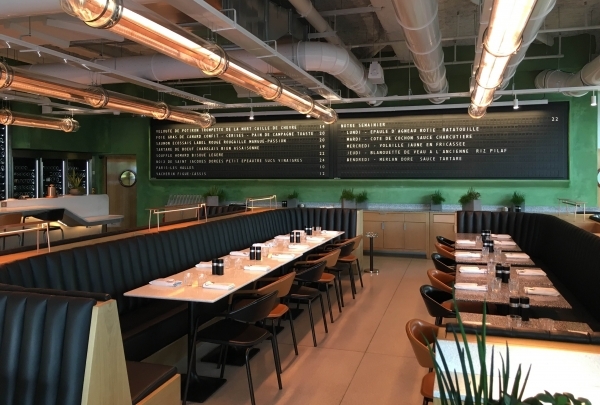 Discover his new contemporary brasserie located in the center of Paris. This elegant spot is an ideal venue for any important occasion. Taste your way through the culinary delights on offer, including light, sweet and savory soufflés! 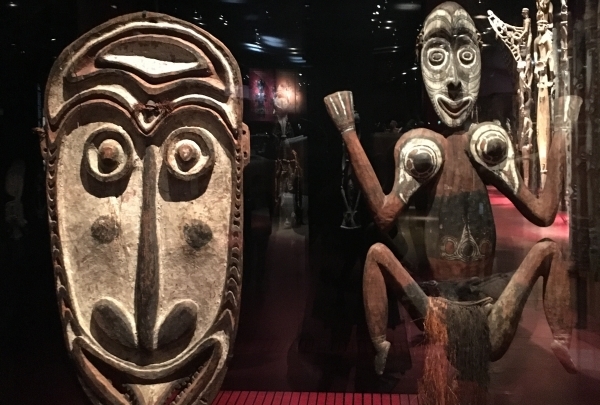 Come to discover an extensive displayed collection of indigenous arts from Africa, Asia, Oceania and the Americas. Located at the foot of the Eiffel Tower, this museum is truly unique -- both in its architecture and its content. The surprise begins with the modernity of the building with its vegetal wall created by Jean Nouvel. You will discover a permanent collection of works representative of African, Asian and Oceanic at and cultures. View more than 3500 pieces of art! The bread is undeniably "the first ingredient of French cuisine". Come to discover the "French Touch! " 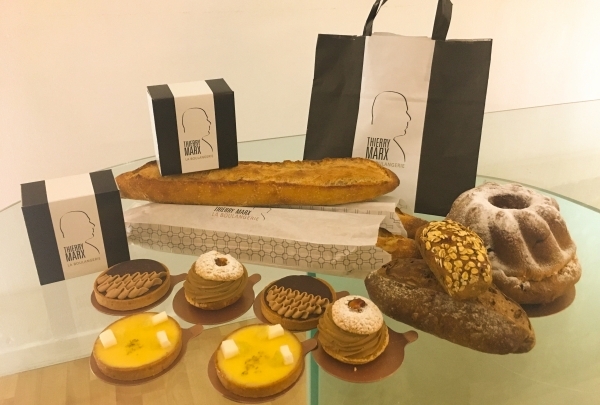 Star chef Thierry Marx, who specializes in molecular cuisine, has just opened this high-end bakery in Paris. The specialty of the house is bread maki, an invention of the chef, a nod to his passion for Japan. In fact you can taste more than ten different breads! Don't forget to save room for perfect croissants & pastries. This souvenir shop is full of quirky items, fashion designer furniture, tableware, trendy clothes, and more! Merci Concept Store is not like other stores! It is devoted to fashion and trendy unique items. All of the benefits are donated to associations and foundations helping women and children in Madagascar. From breakfast to dinner, this contemporary restaurant offers traditional French cuisine made with local products. Odette is the latest restaurant opened by Caroline and Sophie Rostang, the talented daughters of Chef Michel Rostang. 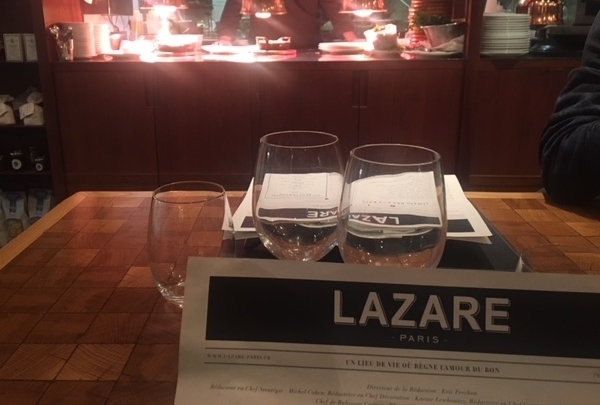 Located in the new Maison Albar Hotel in the "Les Halles" district, you will discover and taste a gourmet, light and aromatic cuisine. This is an essential stop to exhilarate your taste buds. Discover a major collection of Picasso's paintings, drawings, sculptures, and ceramics. 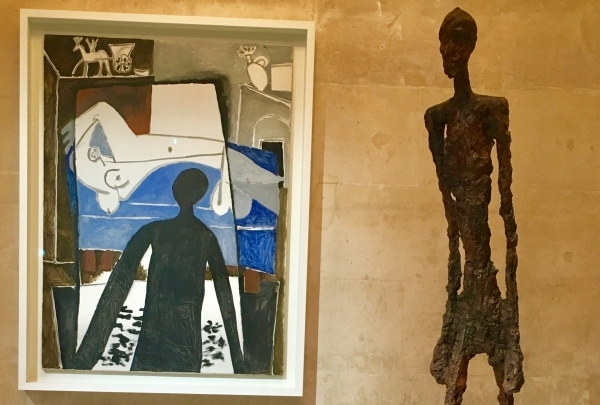 Located in the trendy Marais district and housed in one of the most beautiful 17th-Century mansions in Paris, the Picasso Museum houses the most beautiful and personal works of this master artist. Also on display are works by other artists, including Diego Giacometti. Be sure to visit the 50 unique pieces of furniture also on display. 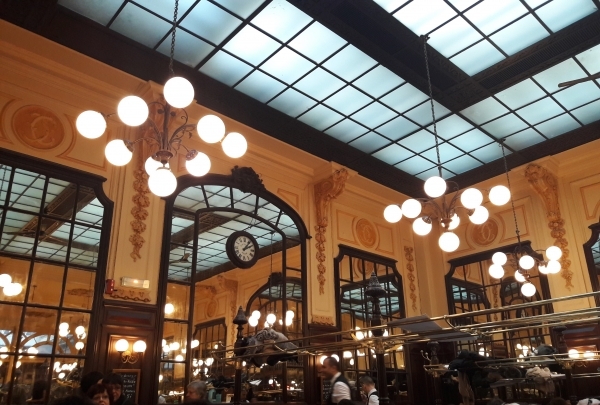 After a long stroll in the 1st arrondissement of Paris, take your time to enjoy delicious pastries in this tea salon. On the ground floor you will find a fine pastry store and if you would like to try one of those creations - you are very welcome to go upstairs for a tea-time. Cosy and very Parisian atmosphere. 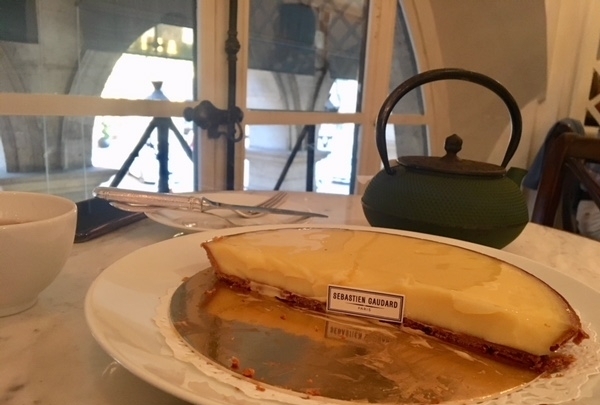 The signature lemon tart is a local favorite. Elegant French brasserie with authentic and warm atmosphere. A short distance away from the most famous avenue Champs-Elysees there is a regular barber shop, which has a little secret. For those who know - just behind the barber seats through a little regular door you will enter a hidden speakeasy with cozy leather armchairs and cigar smoking room. It is not only reserved for men, ladies you are always welcomed! Opened in 2017, this 450 square meters temple is dedicated to one of the most iconic French designers. 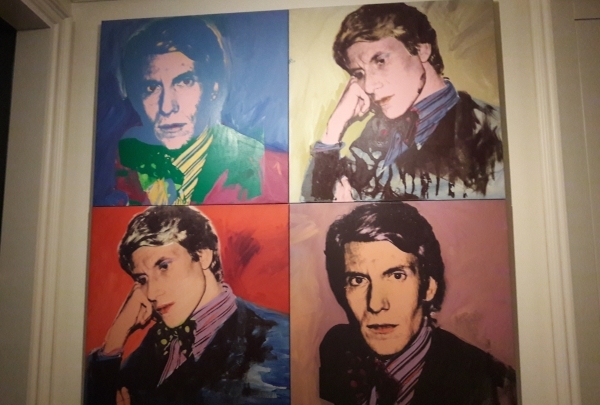 Second Empire mansion on Avenue Marceau welcomes all visitors into the stunning world of YSL. Here you will discover his dresses, accessories, costume sketches and much more. His team worked at this Historic building for 30 years and the atmosphere exudes the designer's legacy. 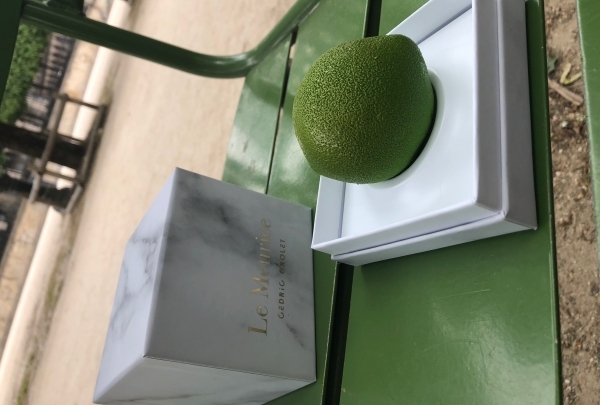 Yet another delicious address for sweet-tooth in Paris, Cedric Grolet the Pastry Chef at Le Meurice hotel opens his first pastry store. Now you can enjoy his delicious sweet creations wherever you wish as you can have them to take away. Important to know that every pastry he makes is a limited edition: the boutique closes when the last piece is sold, so hurry up! Bridge Alexandre III is one the most impressive and iconic bridges in Paris. 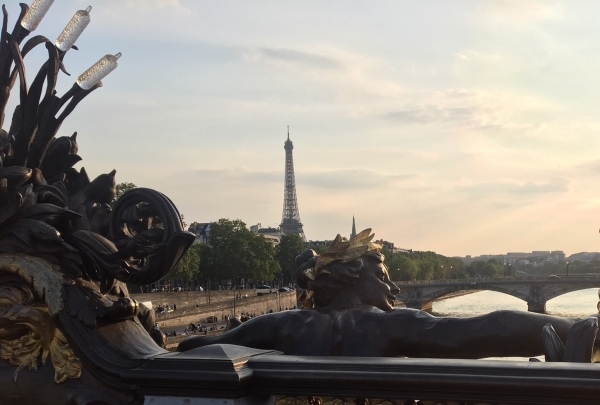 It is a great spot for pictures with the Eiffel Tower and the Invalides museum. 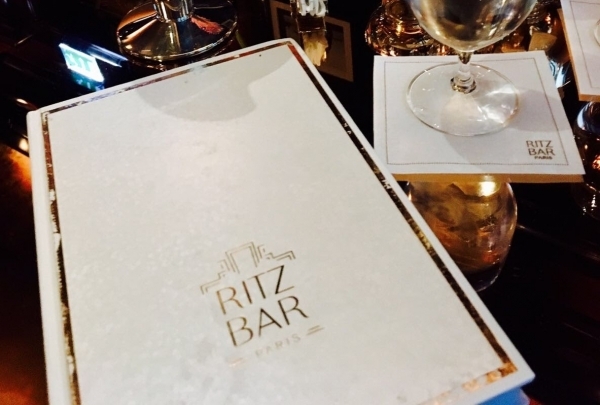 The Ritz Bar is a small and intimate place for a drink with immense history. The bartenders will have the pleasure to tell you who used to have drinks here a century ago. Do not miss the opportunity to visit this sumptuous hotel and stop for a drink in this historical place. When discovering Montmartre area you do not realize that up in the sky there is a hidden gem: a rooftop bar and restaurant Terrass''. 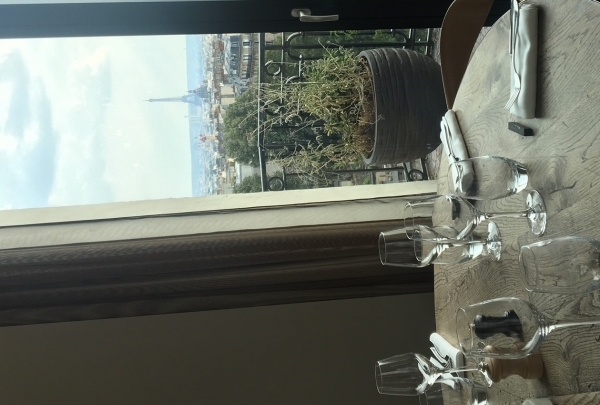 Elegant restaurant with excellent French cuisine and breathtaking view on all Paris and the Eiffel Tower of course ! This is a very small and typical seafood counter with only 2 tables. You can enjoy fresh seafood at the bar. The homemade salty butter served here is one of their specialties which makes their food taste even better. This authentic and local restaurant serves a great wine list to accompany your meal. It is not only the epic piece of gothic architecture but also a wonderful place to enjoy the view! the Towers of Notre-Dame de Paris offer a breathtaking view of Paris. 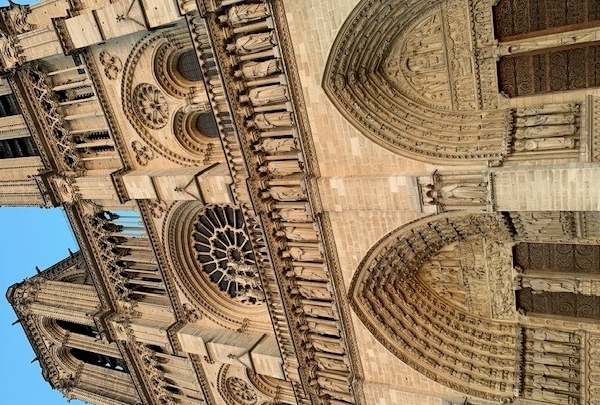 Note that every Saturday night you can enjoy organ music concert at Notre-Dame de Paris. 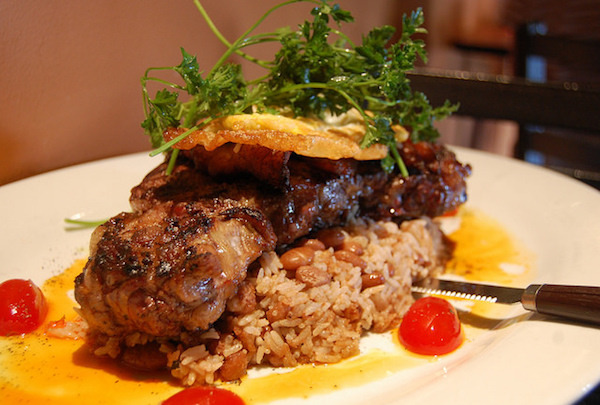 Restaurant serving delicious dishes made using fresh, imported Argentine meat. Attention meat lovers - this restaurant is a must-visit for you while in the city. Excellent Argentinian steakhouse located in the 17th arrondissement, La Recoleta is the place to be if you are fond of Argentine steaks. The selection of red wine served to accompany your meal is also excellent. 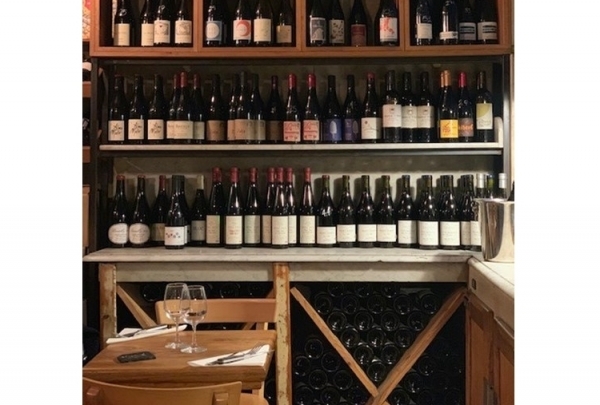 A tiny wine bar featuring only a couple of tables, La Cremerie is located in the 6th arrondissement of Paris in the beautiful Saint-Germain area. 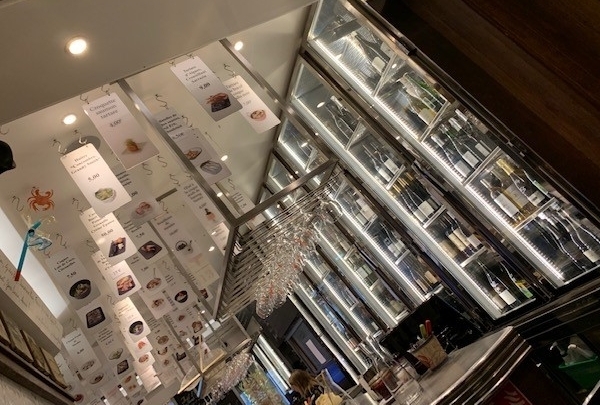 The choice of wines is impressive, and the owner, who also often plays the role of the waiter and sommelier, knows exactly what you will relish. Cheese or ham platter will make the wine taste even better. It's Thrusday, time to relax !